For the modern-day party with the same name, see Italian Liberal Party (1997). The Italian Liberal Party (Italian: Partito Liberale Italiano, PLI) was a liberal and conservative political party in Italy. The PLI, which is the heir of the liberal currents of both the Historical Right and the Historical Left, was a minor party after World War II, but also a frequent junior party in government, especially since 1979. The origins of liberalism in Italy are in the Historical Right, a parliamentary group formed by Camillo Benso di Cavour in the Parliament of the Kingdom of Sardinia following the 1848 revolution. The group was moderately conservative and supported centralised government, restricted suffrage, regressive taxation, and free trade. They dominated politics following Italian unification in 1861 but never formed a party, basing their power on census suffrage and first-past-the-post voting system. The Right was opposed by the more progressive Historical Left, which overthrew Marco Minghetti's government during the so-called "Parliamentary Revolution" of 1876, which brought Agostino Depretis to become Prime Minister. However, Depretis immediately began to look for support among Rightists MPs, who readily changed their positions, in a context of widespread corruption. This phenomenon, known in Italian as trasformismo (roughly translatable in English as "transformism"—in a satirical newspaper, the PM was depicted as a chameleon), effectively removed political differences in Parliament, which was dominated by an undistinguished liberal bloc with a landslide majority until World War I. 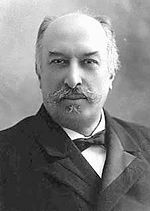 Two parliamentary factions alternated in government, one led by Sidney Sonnino and the other, by far the largest of the two, by Giovanni Giolitti. The latter was known as Liberal Union since 1913 and was finally re-joined also by Sonnino. At that time the Liberals governed in alliance with the Radicals, the Democrats and, eventually, the Reformist Socialists. At the end of World War I, universal suffrage and proportional representation were introduced. These reforms caused big problems to the Liberals, which found themselves unable to stop the rise of two mass parties, the Italian Socialist Party (PSI) and the Italian People's Party (PPI), which had taken the control of many local authorities in northern Italy even before the war. The Catholic PPI opposed the PSI, but also the Liberals and, generally, the Right, under the consequences of the capture of Rome and the struggles between the Holy See and the Italian state which the Liberals had ruled for more than fifty years. The Parliament was thus divided in three different blocks with huge instability, while the Socialists and the rising Fascists instigators of political violence on opposite sides. In this chaotic situation, the Liberals founded the Italian Liberal Party (PLI) in 1922, which immediately joined an alliance led by Fascists and formed with them a joint list for the 1924 general election, transforming the Fascists from a small political force into an absolute-majority party. The PLI was banned by Benito Mussolini in 1925, while many old Liberal politicians were given prestigious, but not influential, political posts, such as seats in the Senate, which was stripped of any real power by Fascist reforms. The PLI was re-founded in 1943 by Benedetto Croce, a prominent intellectual and senator whose international recognition allowed him to remain a free man during the Fascist regime, despite being an anti-fascist himself. After the end of World War II, Enrico De Nicola, a Liberal, became "Provisional Head of State" and another one, Luigi Einaudi, who as Minister of Economy and Governor of the Bank of Italy between 1945 and 1948 had reshaped Italian economy, succeeded him as President of Italy. In the 1946 general election the PLI, which was part of the National Democratic Union, won 6.8% of the vote, which was somewhat below expectations. Indeed, the party was supported by all the survivors of the Italian political class before the rise of Fascism, from Vittorio Emanuele Orlando to Francesco Saverio Nitti. In the first years, the party was led by Leone Cattani, member of the internal left, and then by Roberto Lucifero, a monarchist-conservative. This fact caused the exit of the group of Cattani and Bruno Villabruna, a moderate, was elected secretary in 1948 in order to re-unite all the Liberals under a single banner. Under the leadership of Giovanni Malagodi (1954–1972) the party moved further to the right on economic issues. This caused in 1956 the exit of the party's left-wing, including Bruno Villabruna, Eugenio Scalfari and Marco Pannella, who founded the Radical Party. In particular, the PLI opposed the new centre-left coalition that included also the Italian Socialist Party and presented itself as the main conservative party in Italy. Malagodi managed to draw some votes from the Italian Social Movement, the Monarchist National Party and especially Christian Democracy, whose electoral base was composed also by conservatives suspicious of the Socialists, increasing the party's share to a historical record of 7.0% in the 1963 general election. After Malagodi's resignation from the party's leadership, the PLI was defeated with a humiliating 1.3% in 1976, but tried to re-gain strength by supporting social reforms such as divorce. After Valerio Zanone took over as secretary in 1976, the PLI adopted a more centrist and, to some extent, social-liberal approach. The new secretary opened to the Socialists, hoping to put in action a sort of Lib–Lab cooperation, similar to that experimented in the United Kingdom from 1977 to 1979 between the Labour Party and the Liberals. In 1983 the PLI finally joined the pentapartito coalition composed also of the Christian Democracy (DC), the Italian Socialist Party (PSI), the Italian Democratic Socialist Party (PSDI) and the Italian Republican Party (PRI). In the 1980s the party was led by Renato Altissimo and Alfredo Biondi. With the uncovering of the corruption system nicknamed Tangentopoli by the Mani pulite investigation, many government parties experienced a rapid loss of their support. In the first months the PLI seemed immune to investigation. However, as the investigations further unraveled, the party turned out to be part of the corruption scheme. Francesco De Lorenzo, the Liberal Minister of Health, was one of the most loathed politicians in Italy for his corruption, that involved stealing funds from the sick, and allowing commercialisation of medicines based on bribes. the Liberal Left (SL) of Gianfranco Passalacqua, representing the party's left-wingers, was finally merged into the Democrats of the Left in 2006. In a few years after 1994, most Liberals migrated to FI, while others joined the centre-left, especially Democracy is Freedom – The Daisy (DL). The party was re-founded in 1997 by Stefano De Luca and re-took its original name in 2004. The new PLI gathered some of the former right-wing Liberals, but soon distanced itself from the centre-right coalition, led by FI, in order to follow an autonomous path. Before World Wars the Liberals constituted the political establishment that governed Italy for decades. They had their main bases in Piedmont, where many leading liberal politicians of the Kingdom of Sardinia and the Kingdom of Italy came from, and southern Italy. The Liberals never gained large support after World War II as they were not able to become a mass party and were replaced by Christian Democracy (DC) as the dominant political force. In the 1946 general election, the first after the war, the PLI gained 6.8% as part of the National Democratic Union. At that time they were strong especially in the South, as DC was mainly rooted in the North: 21.0% in Campania, 22.8% in Basilicata, 10.4% in Apulia, 12.8% in Calabria and 13.6% in Sicily. However, the party soon found its main constituency in the industrial elites of the "industrial triangle" formed by Turin, Milan and Genoa. The PLI had its best results in the 1960s, when it was rewarded by conservative voters for their opposition to the participation of the Italian Socialist Party (PSI) in government. The party won 7.0% of the vote in 1963 (15.2% in Turin, 18.7% in Milan and 11.5% in Genoa) and 5.8% 1963. The PLI suffered a decline in the 1970s and settled around 2–3% in the 1980s, when its strongholds were reduced to Piedmont, especially the provinces of Torino and Cuneo, and, to a minor extent, western Lombardy, Liguria and Sicily. As the other parties of the pentapartito coalition (Christian Democrats, Socialists, Republicans and Democratic Socialists), the Liberals strengthened their grip on the South, while in the North they lost some of their residual votes to Lega Nord and its precursors. In the 1992 general election, the last before the Tangentopoli scandals, the PLI won 2.9% of the vote, largely thanks to the increase of votes from the South. After the end of the "First Republic" former Liberals were very influent within Forza Italia (FI) in Piedmont, Liguria and, strangely enough, in Veneto, where Giancarlo Galan was three times elected President. ^ a b Luciano Bardi; Piero Ignazi (1998). "The Italian Party System: The Effective Magnitude of an Earthquake". In Piero Ignazi; Colette Ysmal. The Organization of Political Parties in Southern Europe. Greenwood Publishing Group. p. 102. ISBN 978-0-275-95612-7. ^ Tom Lansford, ed. (2013). Political Handbook of the World 2013. SAGE Publications. p. 714. ISBN 978-1-4522-5825-6. ^ a b Raffaella Y. Nanetti; Robert Leonardi (2014). "Italy". In M. Donald Hancock; Christopher J. Carman; Marjorie Castle; David P. Conradt; Raffaella Y. Nanetti; Robert Leonardi; William Safran; Stephen White. Politics in Europe. CQ Press. p. 363. ISBN 978-1-4833-2305-3. ^ Koff, Sondra Z.; Koff, Stephen P. (2000). Italy: From the First to the Second Republic. Taylor & Francis US. p. 40. Early in the First Republic the PLI had two wings, one of which emphasized its political liberalism and progressive tradition. ^ Jones, Erik; Pasquino, Gianfranco (2015). The Oxford Handbook of Italian Politics. Oxford University Press. p. 456. ^ Cinzia Padovani (2007). A Fatal Attraction: Public Television and Politics in Italy. Rowman & Littlefield. p. 258. ISBN 978-0-7425-1950-3. Retrieved 18 February 2013.